While buying photo frames, you need to make sure that you have known all the designs. You will find a wide array of picture frames to choose from. We have glass, gold, wooden, handmade or even those ornamented ones. 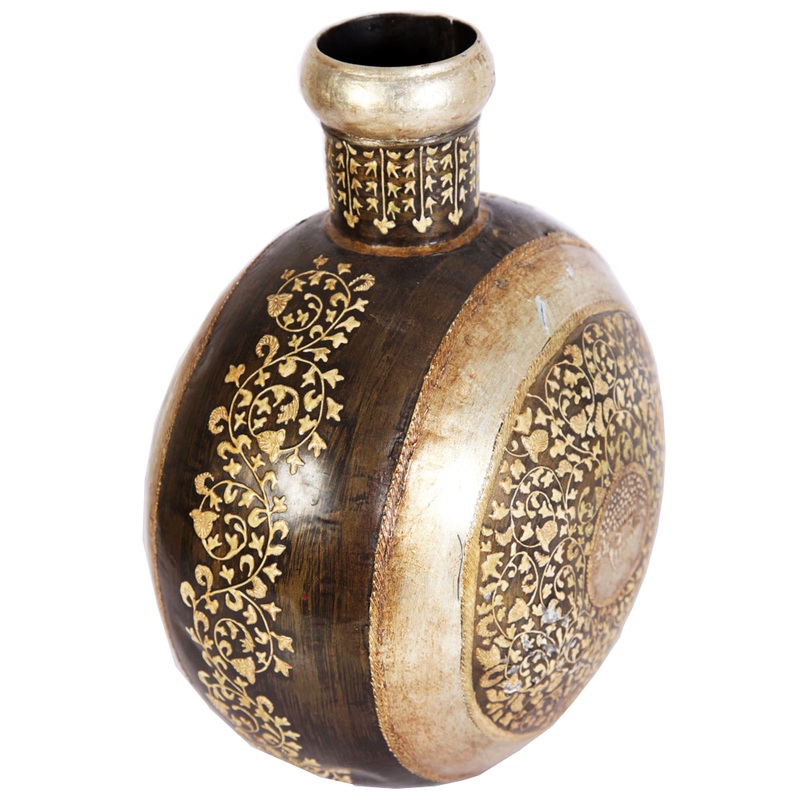 If you are not limited by budget, you can opt for our Gold Iron Pot or crystal vases. They are the perfect return gift for your golden wedding anniversary. You see, our iron pots come in a wide array of designs and shapes. 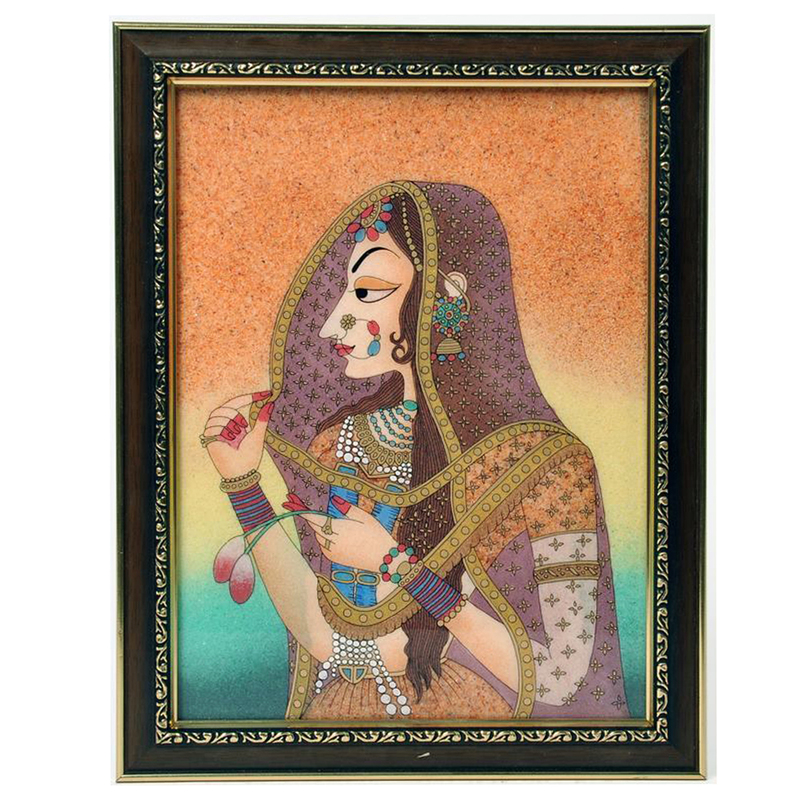 You can opt for a few colorful ones, along with traditional paintings of designs on them. Similarly, you can choose crystal pots, which would offer a classy and elegant look. Do you live in a location, which is sought-after for some popular artwork? Then there could be no better return gift idea than that. 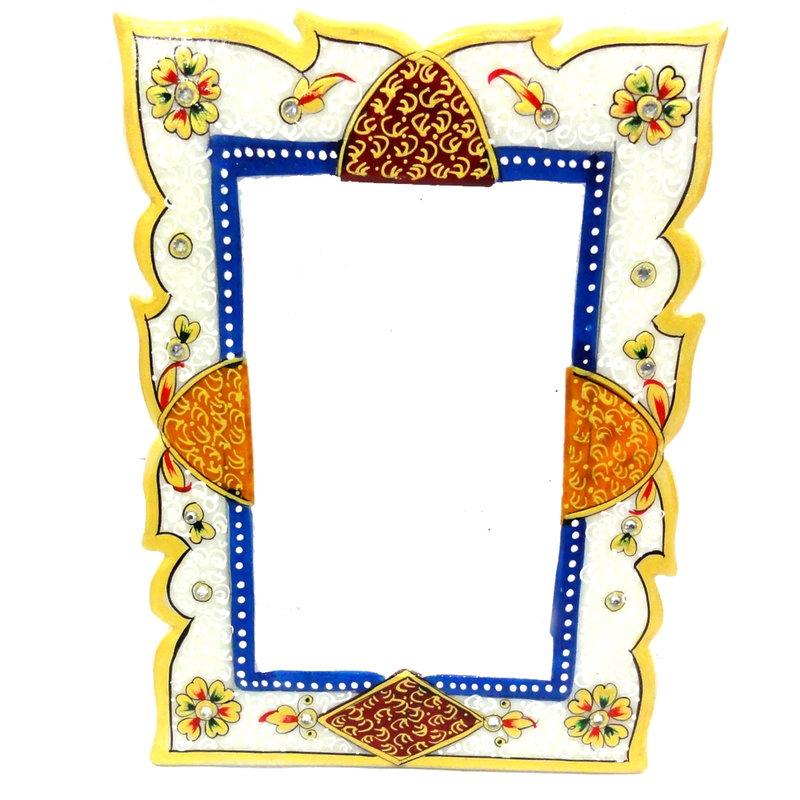 This wooden painting frame makes perfect decoration items in each house. You will have a variety of options to choose from such as Raagini and Bani Thani. Did you know that handmade items are exceptional and beautiful return gift ideas for your 50th wedding anniversary? 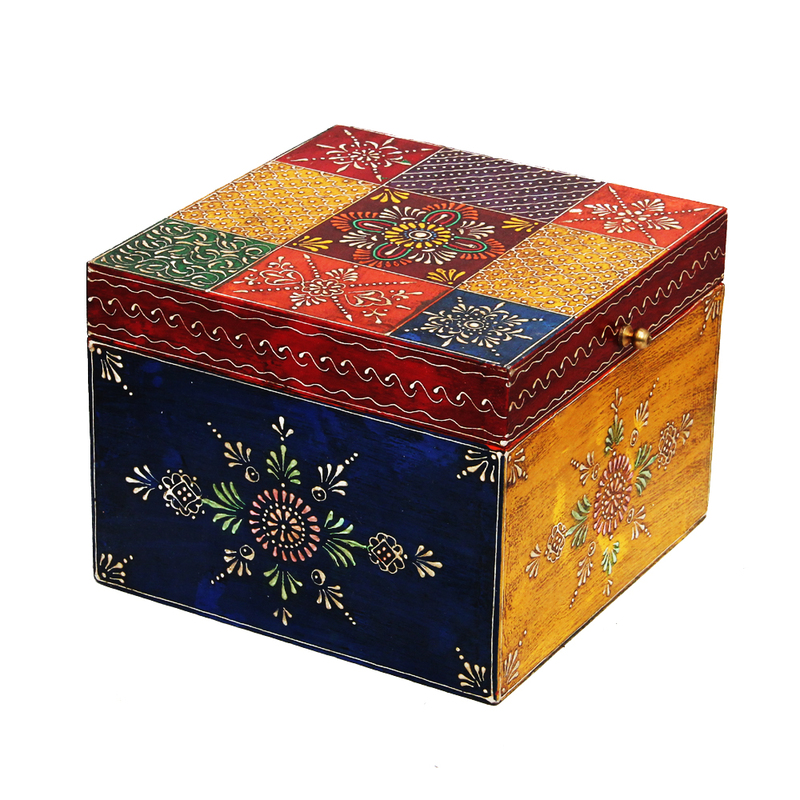 You can select anything from our handmade multicolor embossed wooden box, handmade wooden chair design tea coasters, handcrafted square bag and so much more to choose from. Women are never short on elegant jewelry. They need a box to keep their precious ornaments at one location for hassle-free access. Therefore, why not offer them something they remarkably need? You will also find some boxes that are accessible in various shapes and materials. 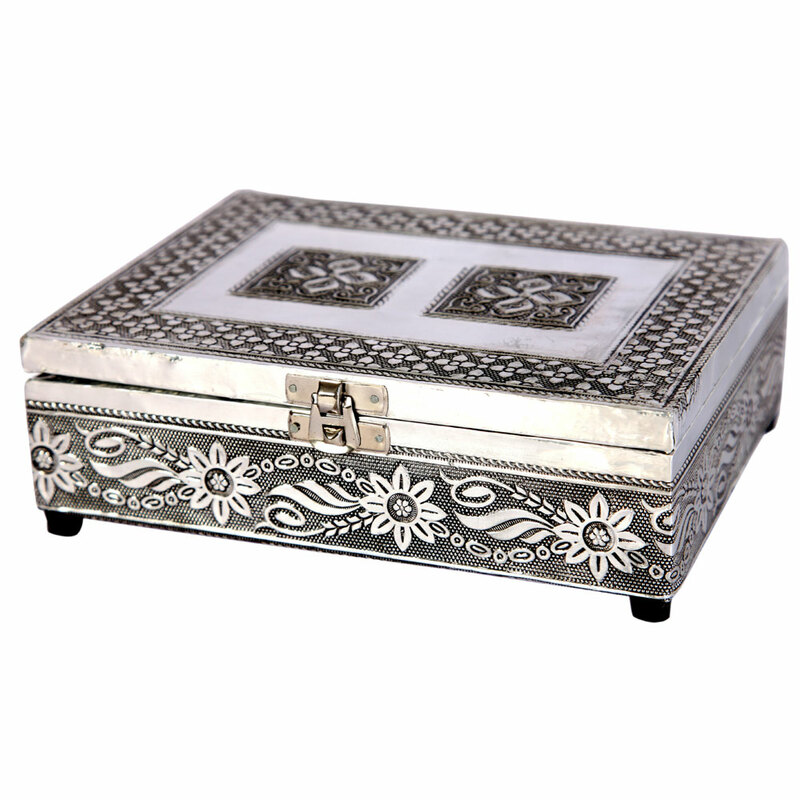 You can also go for boxes with meenakari work, wooden caring, or silver plating. 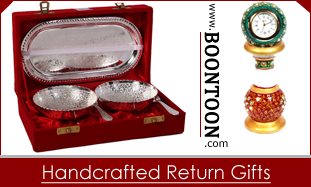 A set of beautiful candles is an excellent return gift idea. They are something which can place as an embellishment item and use them when the need comes. 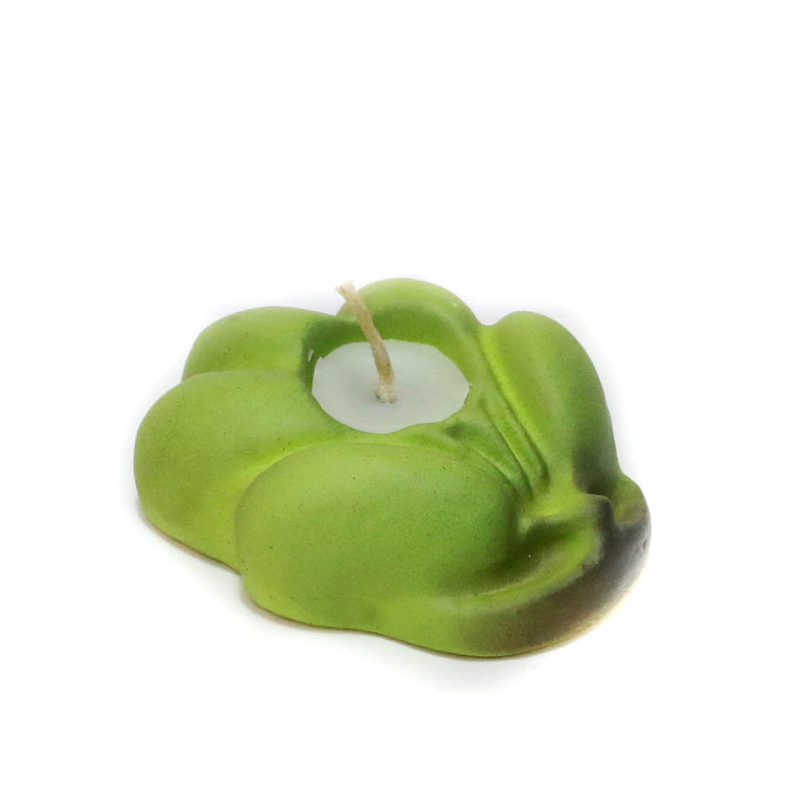 However, since we are talking about 50th wedding anniversary, here’s a unique idea for you – gifting your guests the lovely terracotta leaf candles. This is one return gift, which will undoubtedly be loved by all and sundry. 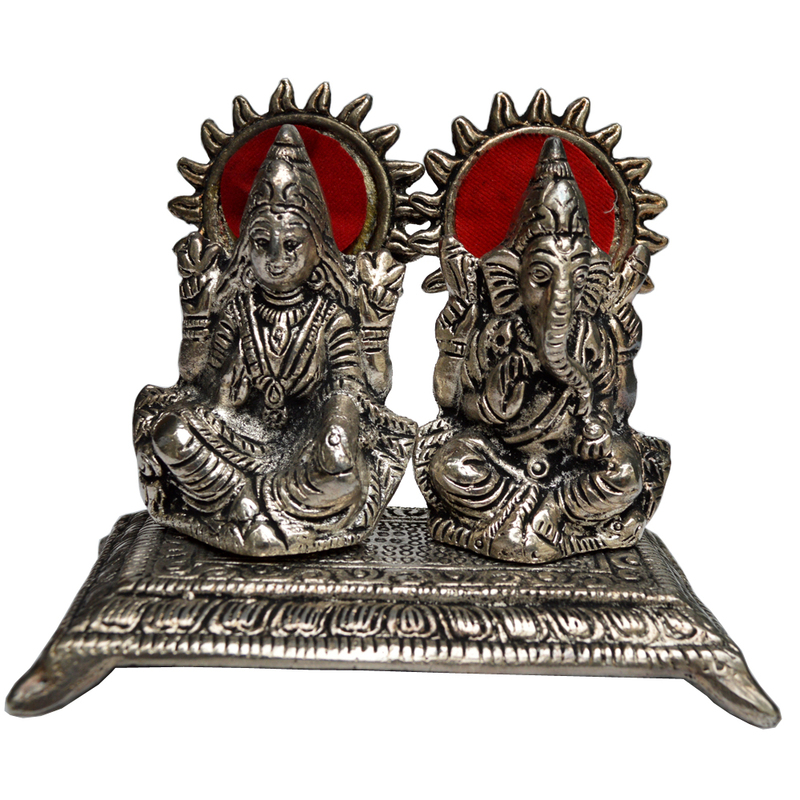 You can give them some statues like Twin LaxmiGanesh, Lord Ganesha, or anything you want. Idols come in different designs, metals, and sizes to ensure you choose something special for all your guests. 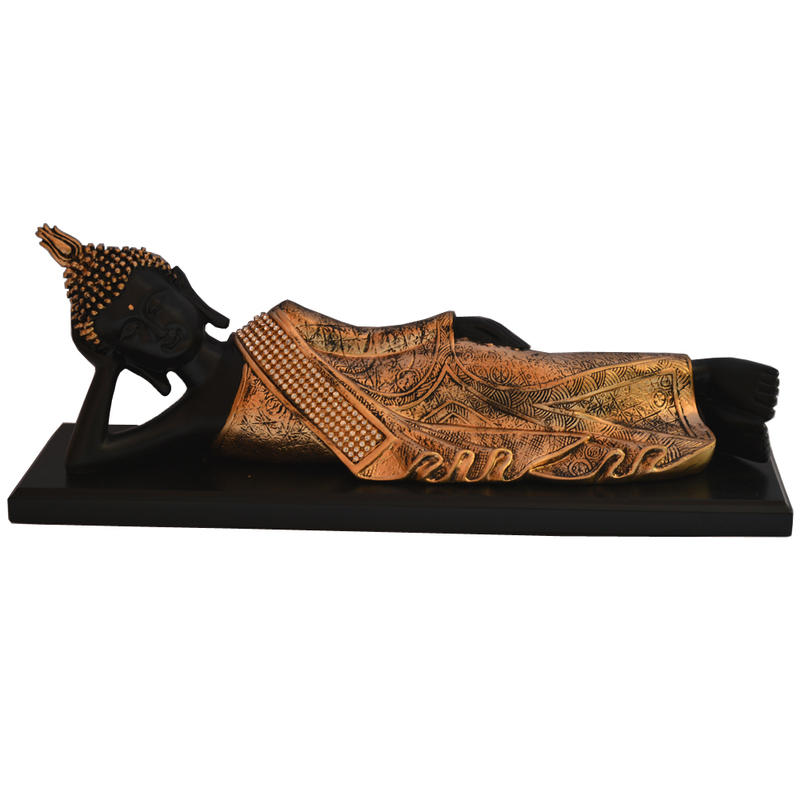 Buddha and other Feng Shui pieces also make an excellent return gift idea for your 50th wedding anniversary. As these gifts help in bringing positive energy in one’s life, they show that you want the prosperity and happiness of your guests. You can also gift anything such as wind chimes, lucky crystals or anything else of your choice.